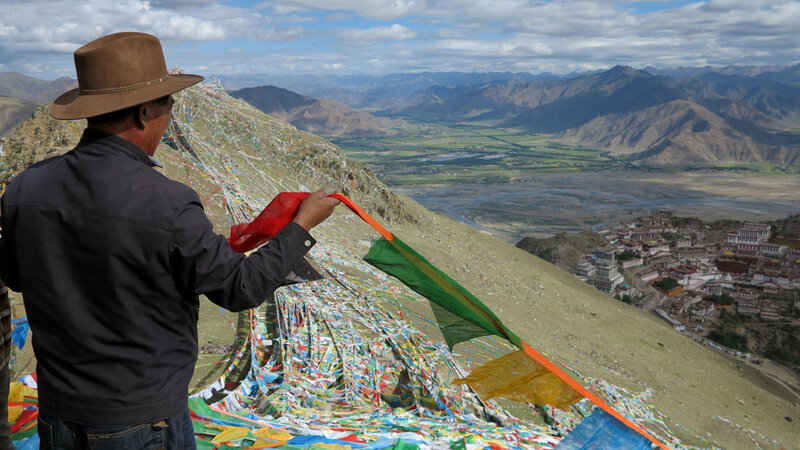 Create a personalised itinerary for the ultimate tibet experience! Beyond the Clouds has a range of flexible tailor-made itineraries ideally suited to independent travellers. Create your own Tibet experience without being part of a tour group. Let us organise as much or as little you want! We take the hassles out of finding the best places and routes, leaving you to enjoy your own personalised itinerary to have the ultimate Tibet experience. Need some more inspiration about Tibet? Take a look at our blog to see stories and photos from the field. Horsemen, high mountains, and historic monasteries - Kham is the untouched old Tibet as you've seen in the movies. Time stands still in some of the remotest valleys of eastern Tibet, while over the high passes modernity blends with tradition in the cities of Shangri-La and Kangding, and the towns of Litang and Tagong. Want to taste real Tibet without worrying about complicated permits and regulations? Look to Kham as your destination. Amdo is the land of nomads -alpine grasslands stretch for as far as the eyes can see, dotted with traditional tents and herds of grazing yaks. The traditional north-east province of Tibet, Amdo has retained its rich culture in the monasteries, villages, and nomadic lifestyle. 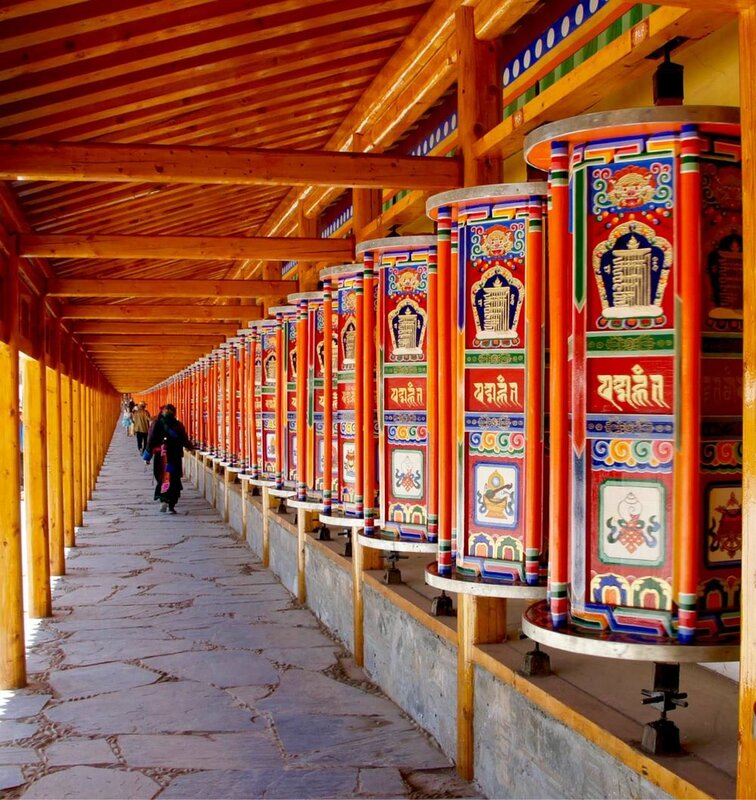 Visit some of the largest monasteries in Tibet, and immerse yourself in Tibetan culture. Lhasa, Shigatse, Gyantse, Samye - the heavy hitters of Tibetan history and mythology are all located in central Tibet. The ancient capital, Lhasa, is unmissable for the Potala Palace and sacred Jokhang Temple. Shigatse and Gyantse hold the Tashilhunpo Monastery and Gyantse Fortress, respectively. Take a side trip to visit Mount Everest Base Camp, or head south from Lhasa into the Yarlung Valley to see the first monastery in Tibet: Samye Monastery. Often called "The Roof Of The World", Tibet is a mountain-lovers' paradise. Trekking in Tibet is much quieter and more rugged than what you'd find on the other side of the Himalayas in Nepal. Trek around sacred mountains or beneath their towering peaks, in the company of nomads and yaks. It is truly an adventure like no other! Tibetan Buddhist culture imbues the landscapes of Tibet - almost every mountain and lake has a deity protector, and is a site of pilgrimage for devout local people. None more so than Mount Kailash, the legendary pyramid-shaped mountain in far western Tibet that has been the site of pilgrimage for Hindus, Buddhists, Jains, and Bonpos for centuries. Whether you're a Buddhist or not, nothing beats being swept up by the energy of pilgrims as they visit their holy site. Take your teenagers and young adults on a transformational journey of a lifetime in eastern Tibet. Visit Kham and Amdo, stay in a homestay in a local village, join pilgrims at the monasteries, and get active in the outdoors with a hike or cycling. There are so many activities and educational opportunities in Tibet, contact us for more or to start planning your trip.